Cambridge, MA – September 15, 2016 – Today, City Councillor David P. Maher and City of Cambridge Personnel Director Sheila Keady Rawson, co-chairs of the Cambridge City Manager Preliminary Screening Committee (PSC), announced the names of the three finalist candidates being forwarded to the entire City Council for consideration. The PSC’s decision was unanimous. A “Meet the Finalists” forum will be held on Tuesday, September 20, 2016, from 6-9 p.m., in the Fitzgerald Auditorium at Cambridge Rindge and Latin School, 459 Broadway, where members of the public will have an opportunity to meet and hear each finalist’s vision for the City and answer questions. 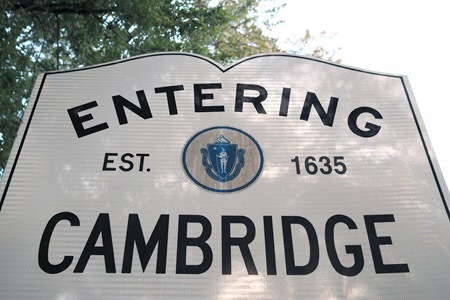 On Wednesday, September 21, beginning at 5:30 p.m., in the Sullivan Chamber at Cambridge City Hall, the City Council will conduct public interviews with the three finalists. The City Council is expected to vote to appoint the next City Manager during a Special City Council Meeting on Thursday, September 29. Each meeting will be broadcast on 22-Cityview (the municipal cable channel) and can also be livestreamed online at http://www.CambridgeMA.GOV. Those attending the “Meet the Finalists” forum and the City Council’s public interviews will be provided the opportunity to give written feedback to the City Council. For additional information about the City Manager search process, please visit http://www.CambridgeMA.GOV/CityManagerSearch. NEADS Service Dogs & Handlers on Tour!